IT'S the real thing for a Morpeth water company as a take-over is lined up by Coca-Cola. The soft drinks giant has set its sights on Coopies Lane business Waters & Robson, which produces the Abbey Well brand. A deal is expected to go through within weeks — with staff assured that operations will continue as normal. The Morpeth firm currently employs 86 people - and there could be job losses as a result of the acquisition. A spokesman for Coca-Cola said: "Over the forthcoming weeks and months we will be considering how best to integrate the Abbey Well business within the CCE portfolio, and this integration may include job losses. "However, we do not at this time have any plans or proposals regarding the best way to achieve this. We are a responsible employer and we will support Abbey Well employees as we pursue integration. "Our hope would be that this could lead to job opportunities for as many Abbey Well employees as possible." Waters & Robson Managing Director Tony Robson, whose grandfather started the business almost a century ago, said: "I am delighted that Coca-Cola has decided to purchase the Abbey Well natural mineral water brand and Waters & Robson. "The Coca-Cola Company's investment brings great opportunities for our company, enabling Abbey Well to be enjoyed by more people across the UK. "I am confident with Coca-Cola that Abbey Well will be in a safe pair of hands and be developed in a dynamic, yet responsible way. "I look forward to finalising the acquisition." The Morpeth company was established by Stephen Waters and Thomas Robson in 1910 when they began making soft drinks using water from the Abbey Well. Thomas Robson junior took the reins after the Second World War and was succeeded by his sons Tony and Michael in 1975, who moved into the fledgling bottled water market in the 1980s. Michael retired in 2002, but Tony, who has worked in the business since he was at school, with experience of deliveries, factory work and sales, continued at the helm. Today, Abbey Well sells more than 30m litres a year, but Mr Robson says the time is right to move on. "I chose the Coca-Cola Company because I believe it can take the Abbey Well brand to the next level far quicker than my family and I would have been able to and make it an even greater success," he said. "It will be an emotional day when I hand over to Coca-Cola in a couple of weeks, but I am very proud of what my loyal and dedicated team has achieved. "Abbey Well could not have arrived at where it is today without the continuous support of its employees and I thank them all whole-heartedly. "My family and I wish Abbey Well and the Coca-Cola Company continued success." President of Coca-Cola Great Britain Sanjay Guha said: "We have been looking for the right bottled water opportunity to expand the range of drinks we offer customers for some time and in Abbey Well we have acquired a natural, sustainable and high quality British sourced water. "Our decision to purchase Waters & Robson and the Abbey Well brand reflects both our ongoing commitment to providing consumers with a range of drinks and our confidence in the bottled water market. "As a locally sourced, natural mineral water, with a long heritage in the UK, Abbey Well can meet consumer demand for refreshments which combine great taste and convenience." Coca-Cola Enterprises (CCE) will bottle and distribute the products. And Vice President Simon Baldry said there will be investment in both staff and the factory. "We have great respect for Waters & Robson and are delighted to be adding the Abbey Well brand to Coca-Cola's portfolio in the UK," he said. "We are looking forward to working with Waters & Robson employees and the local community to develop the business. We are committed to consulting with all current staff on developments at the plant. "Coca-Cola will be investing in the Waters & Robson employees and site infrastructure to ensure bottled water production at Morpeth goes from strength to strength. "CCE's sales expertise and distribution networks will help get Abbey Well water on the shelves of more retail outlets, to be enjoyed by more customers." 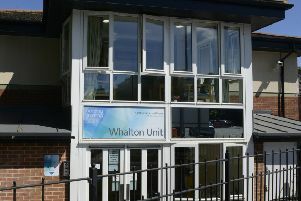 Corporate finance advice on the deal has been provided by unw and legal advice by Watson Burton. The Coca-Cola Company is the world's biggest drinks company, with more than 450 brands and sales in more than 200 countries. The Great Britain subsidiary's last acquisition was Schweppes in 1999.